Roughly a year ago, I remember feeling a bit upset and angry. I was filing my taxes, and looking at the amount I had to pay, I wished that there was more granularity in the income tax bracketing system. But even so, I didn’t feel upset. What made my anger start to simmer was when I learnt that, as a tax paying citizen, I wasn’t allowed to vote (at the time). 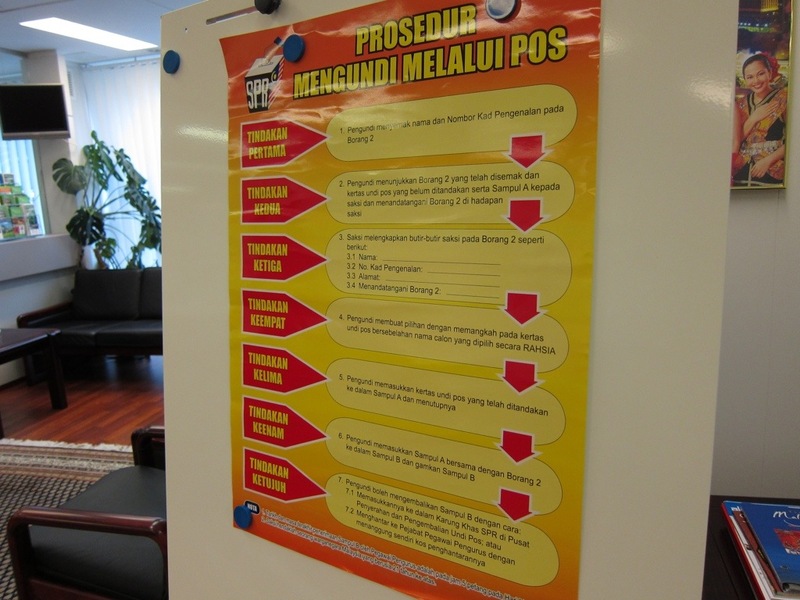 Postal voting was only allowed for Malaysians studying overseas and civil servants posted abroad. Rumours of election day had already been flying about then. Many were predicting it to be in September or in the fourth quarter of the year. Unofficial campaigning had begun in some parts of the country. After the surprise outcome of the previous General Election, the upcoming election was something everyone, regardless of their political alliances, was eyeing nervously. Many new voters had registered over the past couple of years, including myself. So you can imagine my disappointment and frustration when I learnt that I wouldn’t be able to vote. I was appalled because I was doing my duty in paying taxes, but could not exercise the right to choose my representative in government. I was baffled because the policy, for whatever reason, seemed too simplistic and not well thought out. For months I sulked at the injustice of it all. Until it was announced early this year that Malaysians living and working abroad were allowed to vote. Mr TH and I immediately registered as postal voters. And then the wait began; the wait for the announcement of dissolution of Parliament, and the wait for the response to our postal vote application. The announcement of dissolution of Parliament came first. Two and a half weeks later, on nomination day, we received a response from the Election Commission. Our applications were accepted. I was ecstatic. We could vote. Postal voters were required to vote a week earlier, on 28 April. We had planned to travel that same day; all the necessary travel arrangements had been made and confirmed. 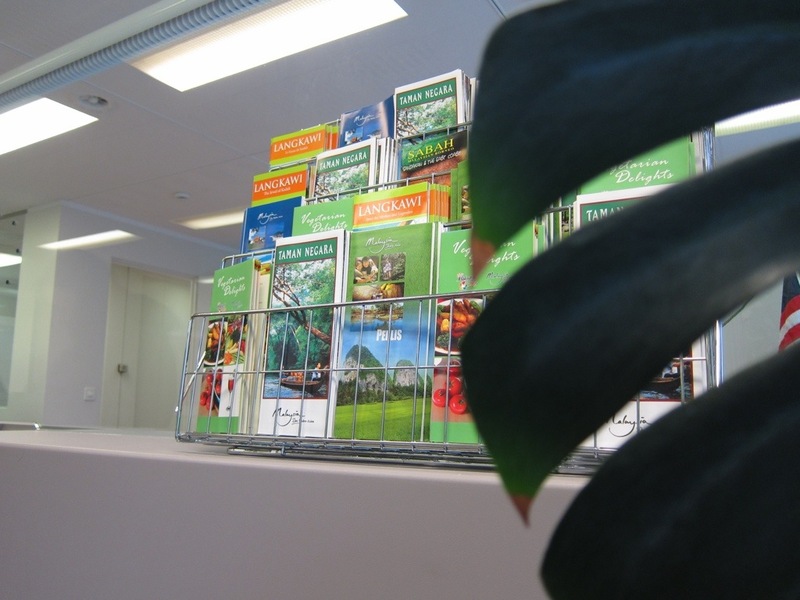 Luckily we had planned it to be a road trip, so we adjusted our plans and incorporated a detour to the Malaysian embassy in Bern. So on the morning of Sunday, 28 April, we drove to Bern. It took us about an hour to get there from Basel, and when we arrived we were greeted by the embassy staff, and given a number each. If the numbers were any indication, I was the sixth person to vote there that day. We were asked to wait for a few minutes in the reception area. I sat there and read through the voting guidelines. And admired the many tourist attractions my homeland has to offer. When my turn came, I walked into the voting room and immediately felt nervous and intimidated. Behind a long table in the middle room sat three people, watching me as I entered. In one corner of the room sat another person – most likely an independent observer. I walked over to the table, handed over my identification card to the two of the three officers seated there, and waited nervously as they searched for my name in their register. The third officer handed me my voting slips and the enclosed forms, and patiently explained what I had to do. After filling in the forms, I walked over to the voting booth, opened each of my two voting slips, and made my choice. After a going through a rollercoaster of emotions that lasted for more than a year, I had finally cast my vote. As I write this, Malaysians back home are in bed, just hours away from casting their votes. And by the time I have my evening tea tomorrow, we will know the results of the 13th General Election. I’m looking forward to tea time. This entry was posted in Blog and tagged General Election, Malaysia, PRU13, vote. Bookmark the permalink.